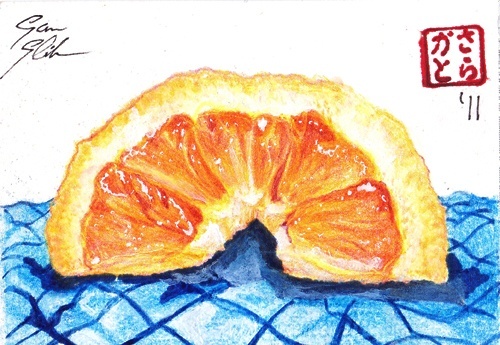 A realistic drawing of an orange (reference from a photo I took myself) on a blue tablecloth. I normally work within inked lines and decided to try 100% lineless art, sketching even in colored pencil. The cloth was not referenced, hence its inferior quality.